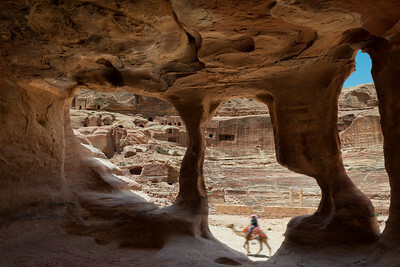 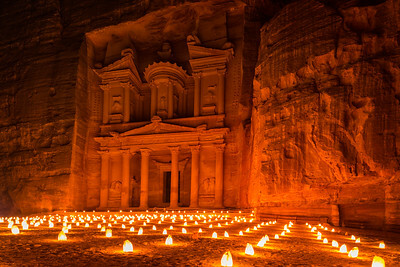 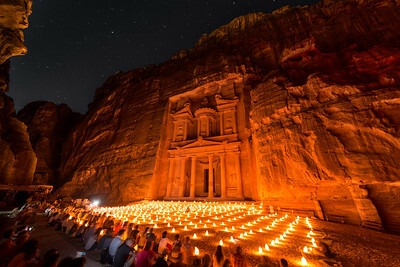 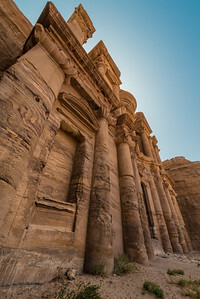 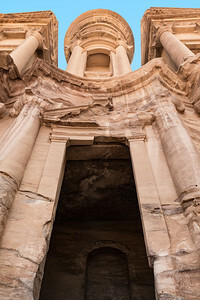 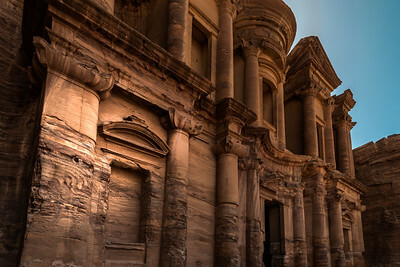 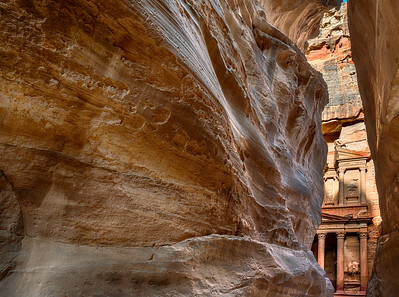 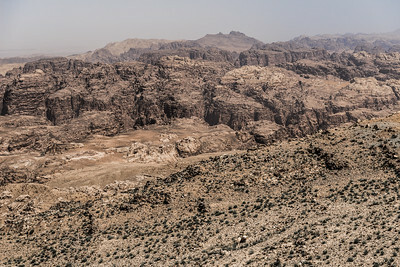 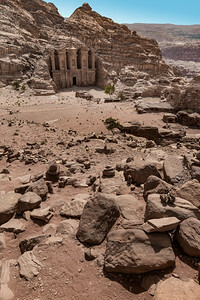 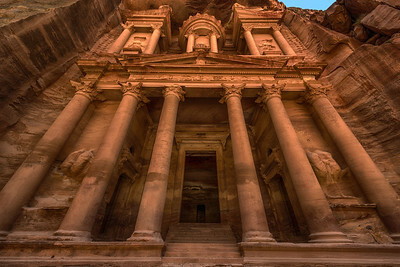 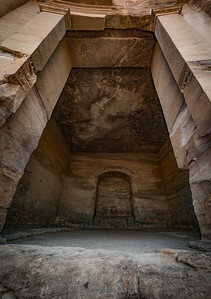 Al-Khazneh (the Treasury) is the most well known attraction in Petra in southern Jordan. 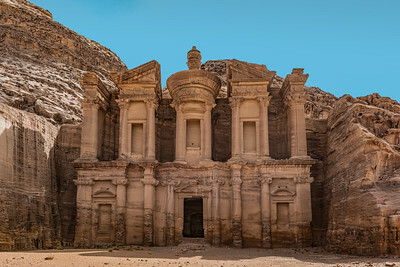 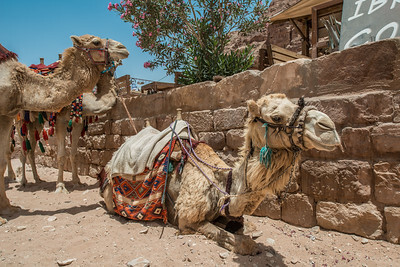 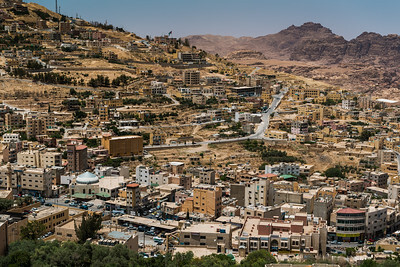 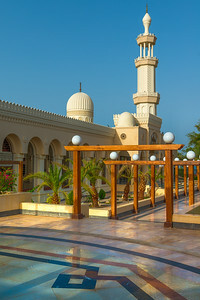 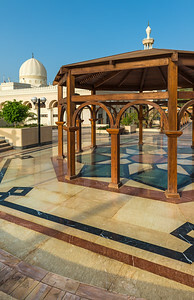 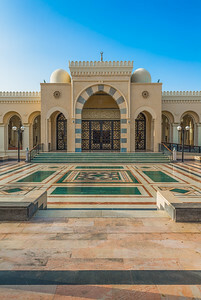 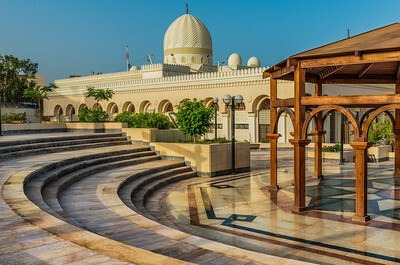 It has been featured in Hollywood movies, including "Indiana Jones and the Last Crusade" and "Transformers: Revenge of the Fallen" among many others. 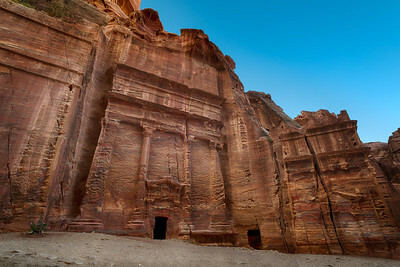 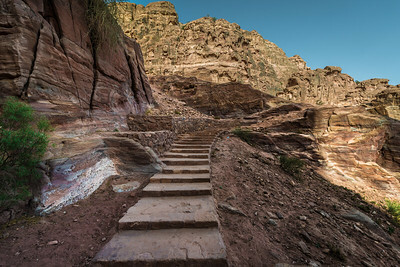 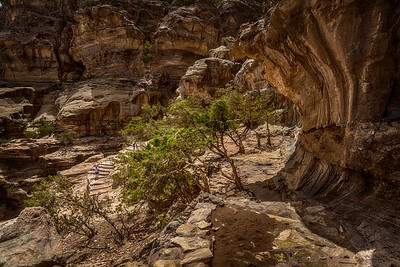 The Siq is the main entrance to the ancient city of Petra. 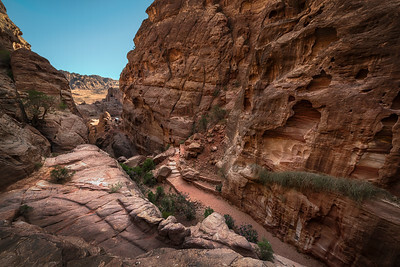 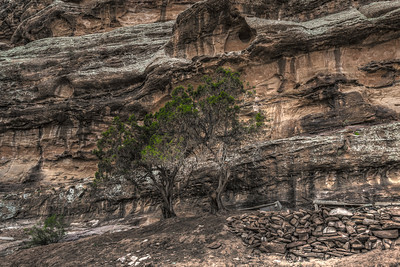 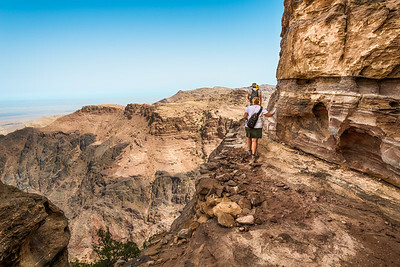 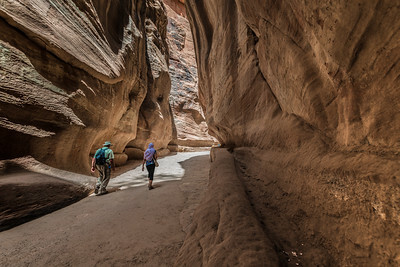 The narrow slot canyon is at some points no more than three meters wide with walls standing between 91m and 182 m (300–600 feet) in height and is approximately 1.2km in length. 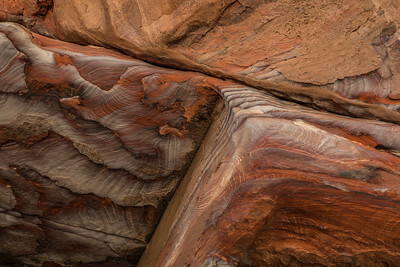 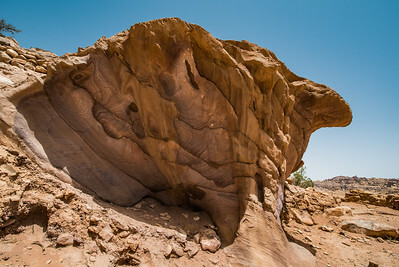 The Siq is a natural geological fault split apart by tectonic forces instead of the water erosion which would normally be expected in slot canyons.